How to Find Small, Budget & Cheap Conservatories? What is a cheap conservatory? I suppose the answer to that question is going to depend upon your point of view. A Cheap conservatory to one person may not look so cheap to another. Therefore, the actual cost is going to be very subjective. If we stay in the realm of small conservatories, then we can quite confidently say that they can be considered cheap, or budget conservatory designs. Small conservatories are great for those of us who have limited space in which to build and there are some really nice examples in the market. In this article we will review what you need to bear in mind when looking for a cheap conservatory. What are the cheapest budget conservatories? What is the cheapest conservatory roof? What is the cheapest conservatory construction material? 5 tips to lower your new conservatory costs. 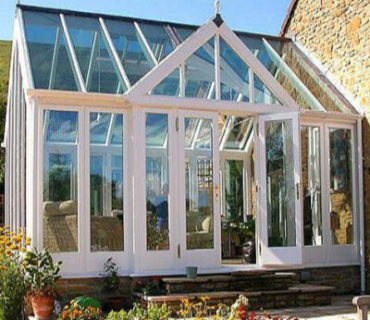 The cheapest types of conservatories are those with the simplest designs, usually square or rectangular. In terms of popular designs that fit the bill, you can look at Lean-to, Edwardian & Georgian. Pavilion or Gable are also good examples of rectangular and cubic design styles. Lean to conservatories are the most basic of visual styles with 3 walls and a single flat plane roof. The other designs mentioned also have the same 3 sided configuration, but the roof designs vary slightly. Edwardian & Georgian can have 3 sided “hipped” roofs. Gable and Pavilion (virtually the same design as each other) are those with 2 sided angled roofing. Fully fitted lean to conservatories prices can start from around £5,200 to £6,000. Within a window below 800mm from floor level. Within a window that is 300mm or less from a door and up to 1500mm from floor level. See more information about this at the planning portal / More prices for 2018 here. * You need to have a decent level of DIY skills & building experience to install DIY conservatory. Alternatively, you could employ a local builder to do the construction and it may still work out cheaper than the average regular supply & fit conservatory deal. But remember it’s going to be a case of ‘Caveat Emptor‘. (buyer beware). You may lose out on the GGF, FENSA, DGCOS accreditation benefits that you get from a specialist conservatory supplier & installer. They will also be fully conversant with planning & building regulations compliance, avoiding any future problems. If and when you come to sell the property at some point in the future and your conservatory is non-compliant, it can cause a lot of hassle and expense to sort out later. 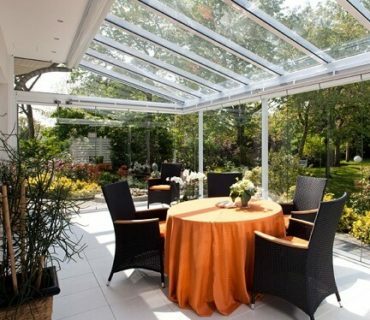 Without doubt, the cheapest conservatory roof designs use polycarbonate panels. 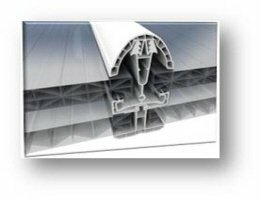 Polycarbonate comes in different thicknesses and we would recommend that you use the thickest multi-chambered profiles of 32mm to 35mm for best results. Thinner panels such as 16mm or 10mm are really only suitable for things like car ports, sheds or canopies. 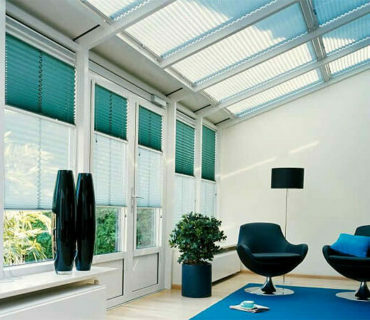 Double glazed conservatory roofing is costlier, but has better insulation qualities and sound proofing. Many conservatory owners confess to being driven crazy by the sound of rain hitting a polycarbonate roof. Tiled conservatory roofs are the costliest. They need to be fitted to stronger frames, also using more materials & labour to push up the price. You could, of course, build your new conservatory from regular softwood, but you could be letting yourself in for years of regular maintenance that will take time and money. So whilst a softwood conservatory might have a lower upfront cost, longer term they can cost more to look after than UPVC, Aluminium or Hardwood conservatories. A better alternative is to use engineered timber. Also made from softwoods, but manufactured in such a way as to greatly reduce expansion and contraction. It is also pre-treated to suppress wood rot. It costs somewhat more, but is a great material for use in a conservatory. Whilst you can also build a small conservatory from hardwoods or aluminium, these materials are more expensive than uPVC. Small UPVC conservatories can be some of the cheapest in the market. Have full length glass sides: Any type of solid walling (dwarf walls) will push up the price. 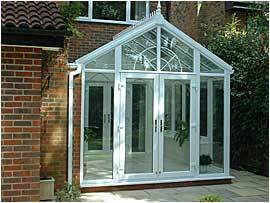 If you are having a uPVC conservatory, use white. Coloured UPVC is costlier. Use polycarbonate panels for the roof glazing. A Double glazed conservatory roof would be preferable, but if you are on a tight budget, then good quality 35mm multi-chamber polycarbonate panels will do the job adequately until you can afford to upgrade at a later date. Pre-prepare the ground where the conservatory is going to be built yourself. Labour costs add a lot to the price of a conservatory. The less work the contractor has to do, the less they charge. Opening windows: Each window in your conservatory that opens can add to the price. So take a moment to decide if each opener is really necessary. Get quotes from local companies & get several quotes to compare prices. Small local businesses are just as skilled as large national companies, but have lower overheads that can translate into lower prices for a conservatory. You may also find that if you split the workload there could be some savings to be made. For example, you can use a local builder to do the foundations and the conservatory company just to fit the room to the base. You will need to get quotes from each contractor and then compare them to full “supply & fit” quotes. This will allow you to asses if there is any price advantage to be gained. Small, budget or cheap conservatories are also more likely not to need planning permission, so there will be savings on some costs there as well. The old adage “you get what you pay for” can be a good thing to keep in mind when your sole aim is to buy a cheap conservatory. It is common sense not to want to pay too much for something, but there is a natural business law that holds true and rightly points out that “you can’t pay a little & get a lot”. A better approach may be to try to look for a conservatory design that offers the best value for your money and this is where we can help. With our access to a Nationwide network of accredited installers we can arrange for free quotations for any size or type of conservatory. 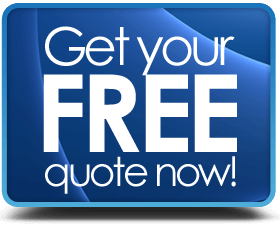 To get your free online conservatory quotes, all you need to do is let us know the basics of your project via our quote request form (it only takes a minute).